Today's Tip: Do It Yourself as much as you can. Doing it yourself is almost always more environmentally friendly because you can easily upcycle used materials, know exactly what products you are using (if you are making household cleaning supplies for example), and doing it yourself leaves you with a gratified more personal experience with the world around you. That said, I have another awesome Artist Highlight for you this week! 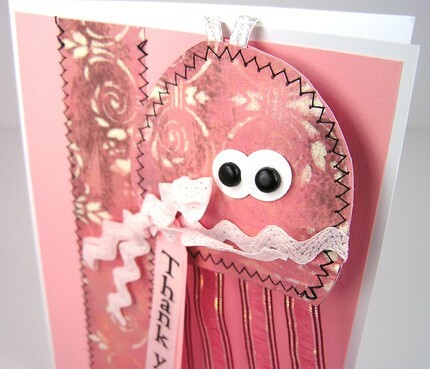 Dana from Dankh Creations, does just this with her greeting cards! She is able to make her own greeting cards, which are always more personal. She even has some stamps and supplies for sell in her store that can help you do that! And though you can obviously make your own, you can also support a local artist and check out Dana's awesome interview (yay! ), giveaway (yay! ), and discount (yay!) for A Girl and Her Scout readers! Awesome!!! Hey Dana! Welcome! Tell us a little bit about yourself and your super crafty cards. Well, I have only lived in Knoxville for about a year and half, and am from Michigan. I currently attend evening classes at UT and work full time. The reason I moved here was to go to UT. I am working toward a degree in Forensic Anthropology and UT has the best program. I also have a spoiled ferret, named Myra. I decided to start an Etsy shop after hearing about it from my mom, who found out about it from a friend. I have only so many friends and family to make cards for so, Etsy is a great outlet for my cards. Besides the cards and paper crafts you have in your Etsy store, what else do you like to do? I love to read. Usually romance, mystery, history and anthropology. I love the library because I hate to spend good money on a book that isn’t good. I also love to garden… which is hard to do in an apartment!! But I make do with lots of pots. I especially like growing white, purple, or orange salvia’s. But I also include any flowers I can find that are orange (my favorite color). 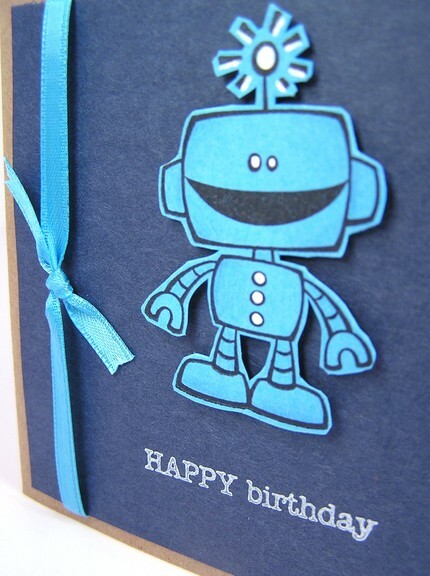 What first drew you to paper crafts, especially card making? My mom! She got interested in rubber stamping just before it started becoming popular. At first I wasn't interested, but I had discovered quilling and also wanted to do something with my small cross stitch projects. So hundreds of stamps and tons of paper later…. :D I like card making and small paper craft projects the best. They can take a few hours to only a couple of days to make. 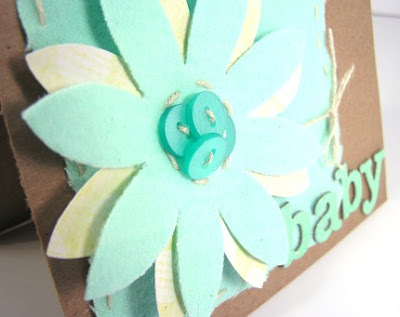 Where scrapbooking is a big page with lots of possibilities. If I had more desk space that I could dedicate to the current scrapbook page and come back to it, then I would do actually scrapbook my high school years and my ferret. But i just can’t get a page done in a day or two. Do what you love! But try to think like a business woman (or man). Which is hard trust me!! I always want new stamps and paper, but I have to ask myself do I have something similar already? Do I want/need something else that’s more important, or more helpful! In honor of highlighting local, east Tennessee artists, Dana is hosting a giveaway here at A Girl and Her Scout! She will be giving away two greeting cards of your choice from the Simple Greetings Section to the chosen winner (chosen via a random assorter) on Oct. 31st so be sure to get in your entries by then! To enter, head over to her Etsy Store, DannkhCreations, and leave a comment here about your favorite item(s). Additional entries for: 1) becoming a first time follower of A Girl and Her Scout 2) Posting this giveaway with a link to my blog on your blog 3) Posting this giveaway with a link to my blog on your facebook and/or twitter 4) “Hearting” or adding DankhCreations to your “Favorites” on Etsy and/or 5) making a purchase out of her store (one entry for every purchase). Be sure to leave a new comment for each additional entry! In addition, through October 31ST she will be offering a 20% discount to all A Girl and Her Scout readers! YAY!!! Just use key word “AGirl&HerScout” at check out to receive your discount. The discount is before shipping and will be refunded thru PayPal after the purchase. Just be sure to message the keyword to the seller. Happy shopping and crafting and many thanks again to Dana for participating in my Artist Highlight of the week! Love the May All Your Weeds Be Flowers greeting card!